Maintenance by Schmechel's own repair shop. The functionality of both a vehicle fleet and cross docking depends on various factors. 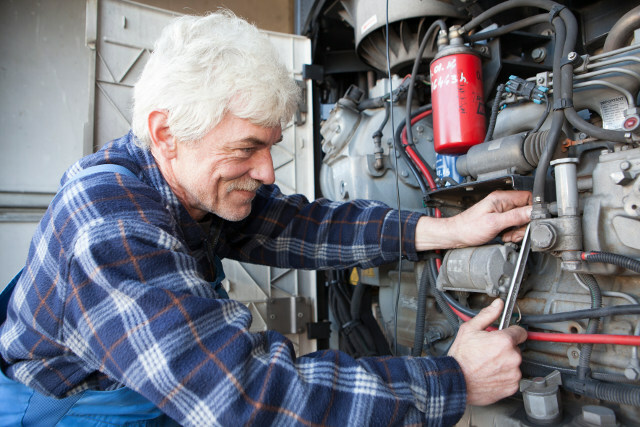 Regular predicitve maintenance of all technical equipment and equally regular reviews of the functionality and availability of trucks, trailers and coolers are vital subjects for testing. Controlling the functionality of telematics for temperatures, security monitoring and order data is at least just as important. Even remote locking for trailers and the remote control of coolers are already being used today, and this demands particular controls. For example, the interaction between fleet management, our own maintenance operations, and quality assurance lays the foundations for processing transport reliably. Schmechel understood earlier than its competitors to have its technical equipment qualified by experts. This bears excellent witness to the requirements of GDP and TAPA. Validation of internal processes is also permanently optimised, and this is reflected in our key performance indicators. 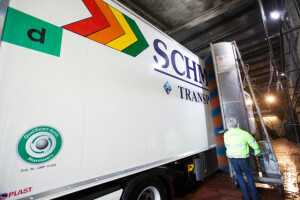 All of Schmechel’s transport operations are tested and documented by an external control service 24/365.The interaction between all of the technical components and the mechanisms used by all of the departments to cooperate with each other, as well as with customers and third parties is given by Schme­chel’s ability to benefit its customers – because that is the motto we live by.